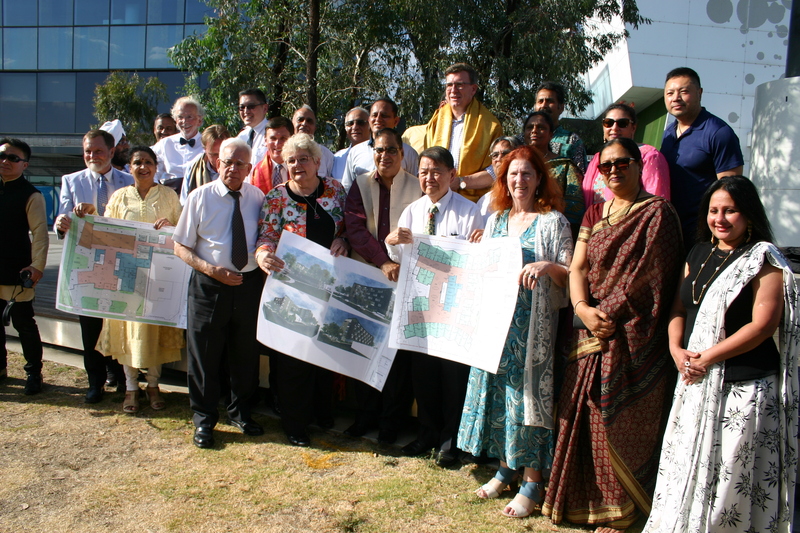 Indian community members joined local politicians and aged care providers recently at the launch of Planning Permits for an ethno specific, Indian aged care facility in Melbourne. The Australian Federal Government has approved a $1 million dollar grant towards the 108-bed facility in the south-eastern suburb of Noble Park. According to Petra Neelman, Executive Director of MiCare (Formerly Dutch Care), the facility will ensure availability and access to linguistic and cultural needs, social activities and food choices for the residents. The plans include four prayer rooms, a vegetarian kitchen and a 300-seat capacity community hall among other culturally sensitive features. 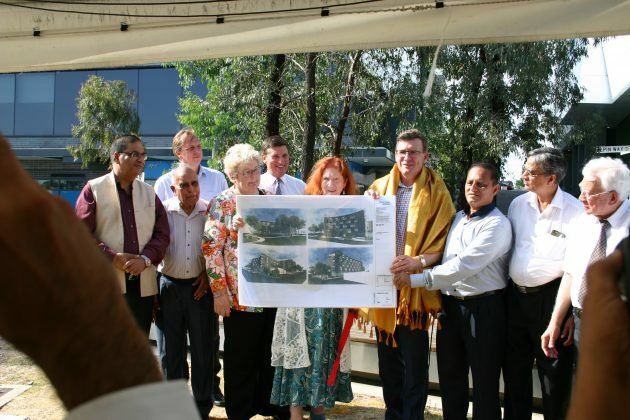 Years of persistence in attempts to provision aged care services from an ethno specific Indian perspective finally saw some promising development with this launch. 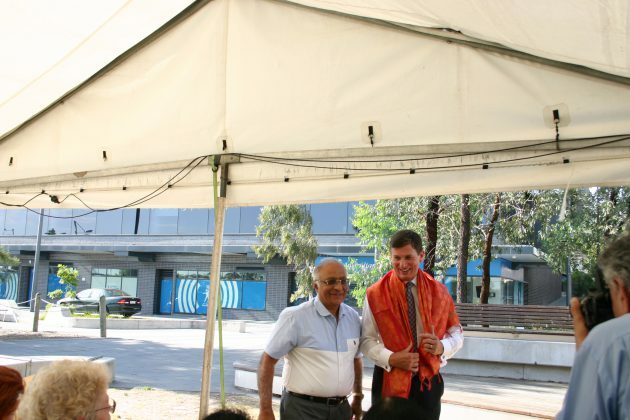 As all the dignitaries that attended the event pointed out, the credit for this exciting development goes to community leader and Multicultural Ambassador Vasan Srinivasan, who worked persistently to bring the plans to fruition. Alan Tudge MP, Minister for Cities, Urban Infrastructure and Population, commended Vasan for his persistence in spearheading projects that included the development of the Museum India in Dandenong, where the aged care facility launch was held. 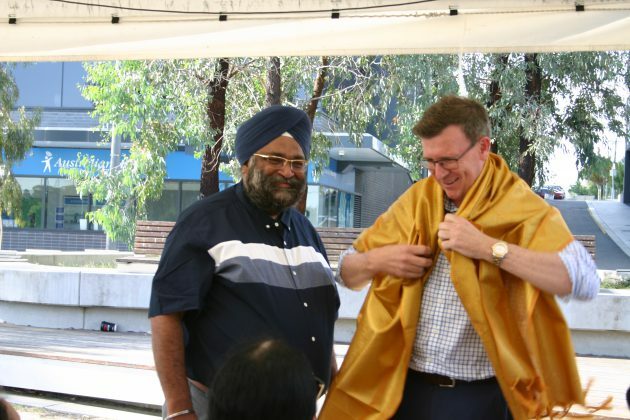 ‘Energiser Bunny’ and ‘Organiser Extraordinaire’ were the terms used to describe Vasan as the Minister acknowledged his hard work in negotiating with both the Federal and State Governments in relation to the proposed facility. 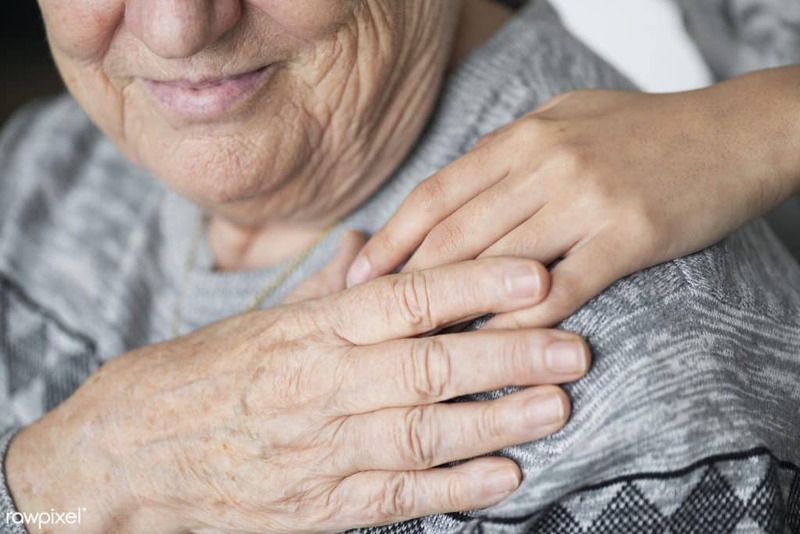 According to the Minister, ethno specific services provide enhanced connectedness and mental wellbeing for older people from diverse backgrounds. He thanked everyone involved for getting this up and running and officially declared the planning approvals as completed. 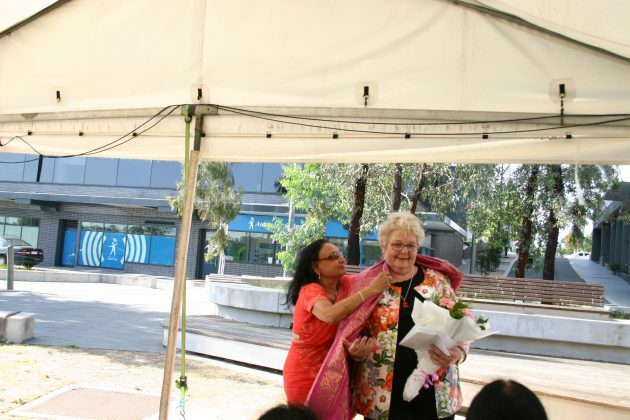 Roz Blades, Mayor, City of Dandenong, joined the Minister in launching the plans along with Neil Angus, Shadow Minister for Citizenship and Multicultural Affairs and Matt Fregon, Member for Mount Waverley. Despite the melting heat, the event was well attended by multicultural leaders, community representatives and local media. MC Aneka and Swati admirably kept their cool through the entire event as they invited the dignitaries to say a few words. Rakesh Malhotra (Consul General of India in Melbourne), Dr Dinesh Parekh (Artistic Director of Museum India) and Dr Sharad Gupta (President of FIAV) also addressed the audience briefly. A traditional Indian wrap and flowers were presented to all the dignitaries. A light vegetarian meal was served after the event. Speaking to the guests post event, Vasan Srinivasan shared his experience of the challenges that were faced and the multiple attempts made before reaching this stage of approval. He is optimistic that the combination of MiCare’s experience of working with ethnic backgrounds, Federal and State Government funding and community support will ensure the realisation of this project. “As the population of Indians in Melbourne continues to grow it is imperative that the community has access to ethno specific aged care in order to age and live well,” said Vasan. 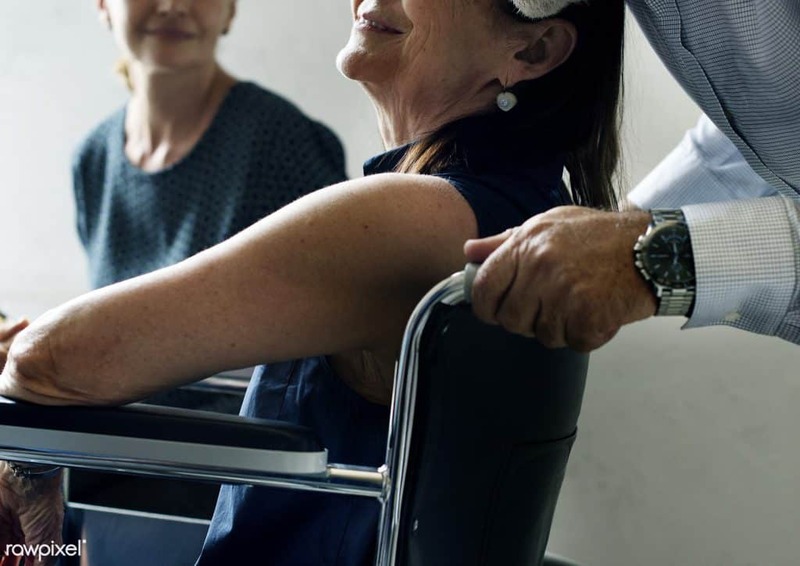 According to him, availability of an ethno-specific and multicultural aged care, bilingual workforce and health educators will play a pivotal role in promoting healthy ageing and community capacity building.